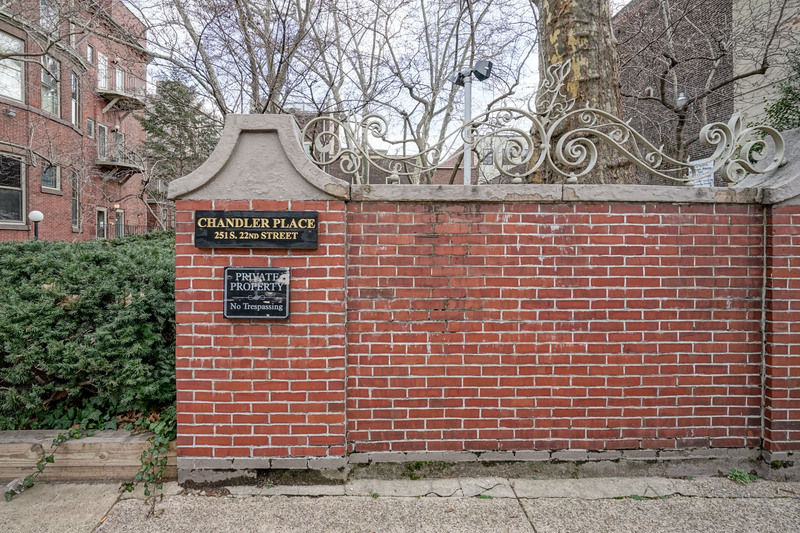 A true work of art; welcome to this one-of-a-kind Rittenhouse Square condo with deeded parking at historic Chandler Place. 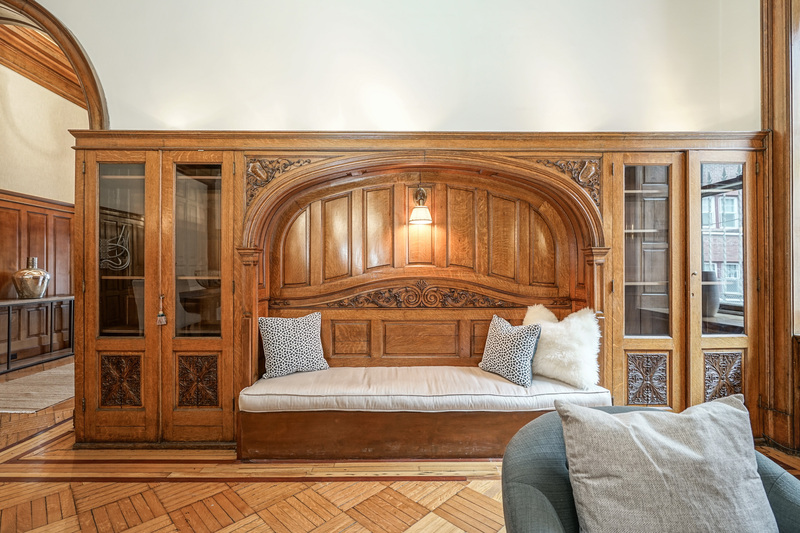 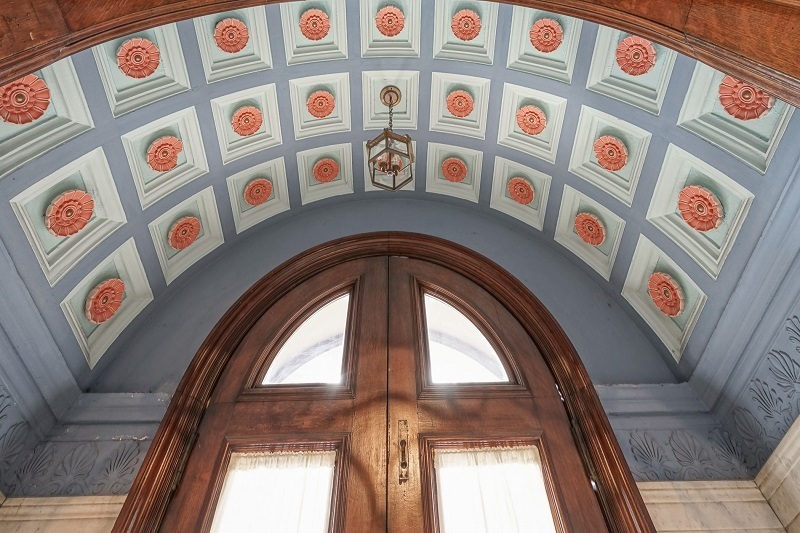 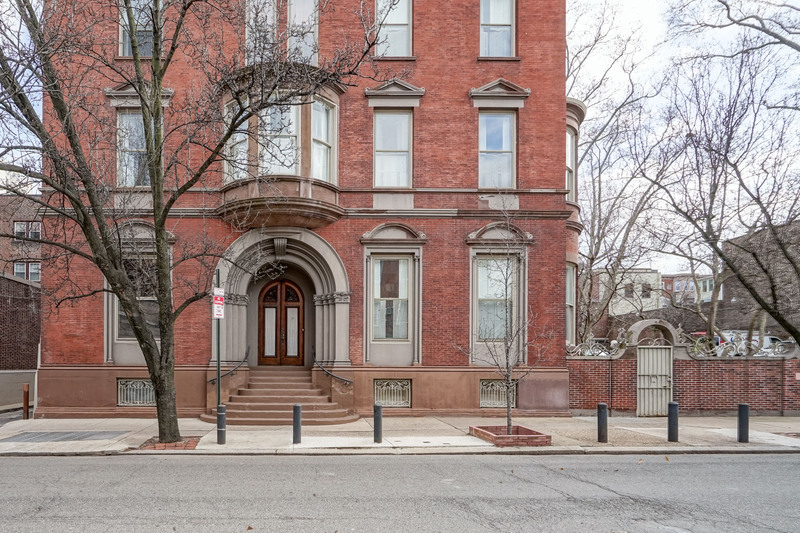 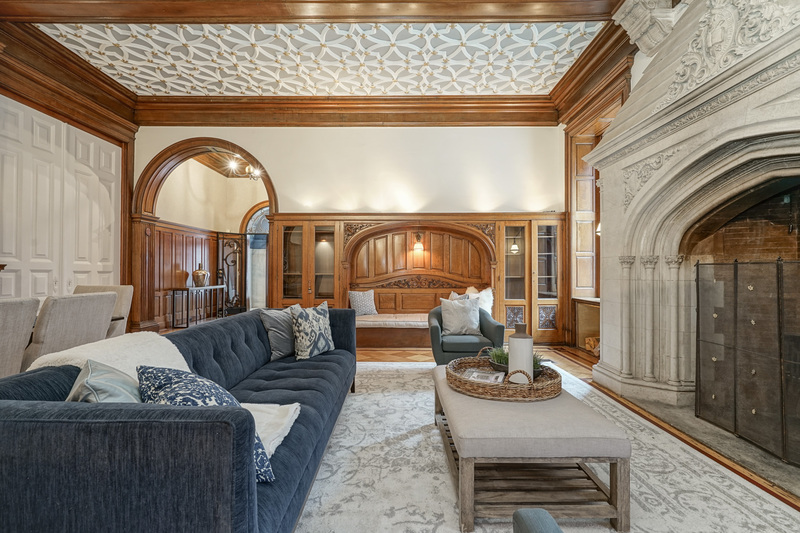 Built in 1903 for the Episcopalian Bishop of Pennsylvania, this magnificent home was designed by famed architect Theophilus Chandler and was eventually converted into 10 boutique homes. 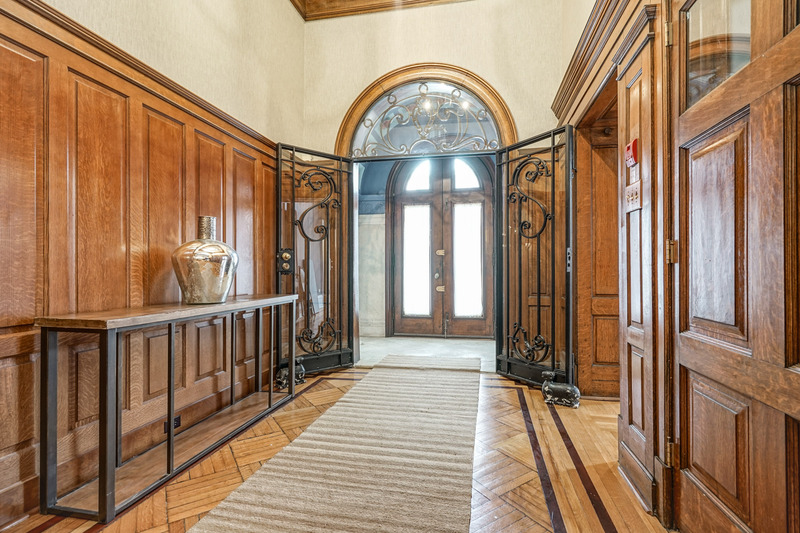 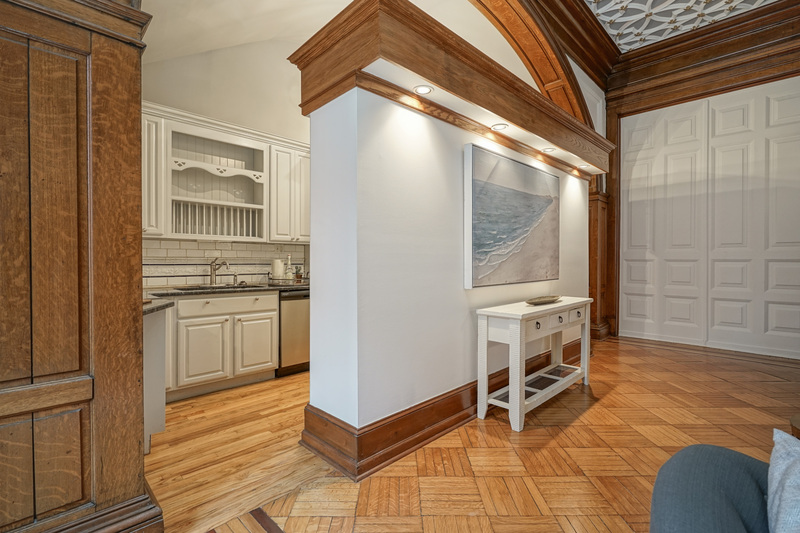 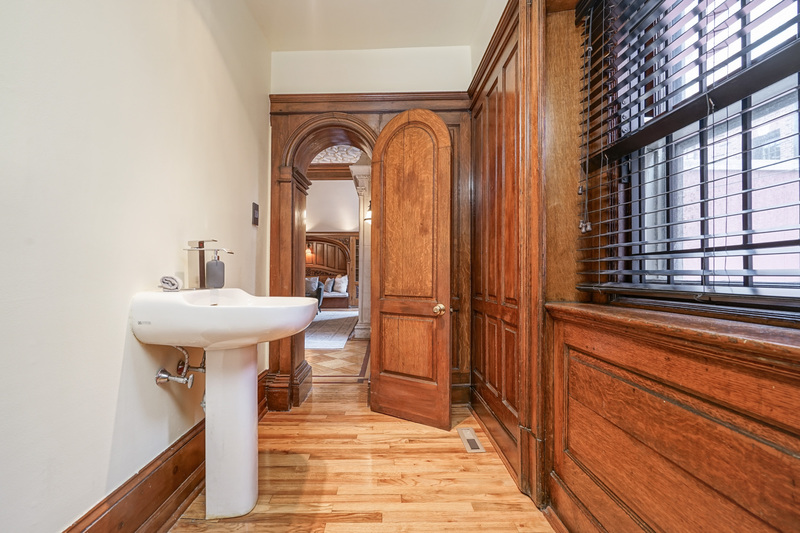 Boasting its own private front door entrance, exceptional original details have been exquisitely maintained to achieve the perfect blend of historic charm, craftsmanship and modern convenience. 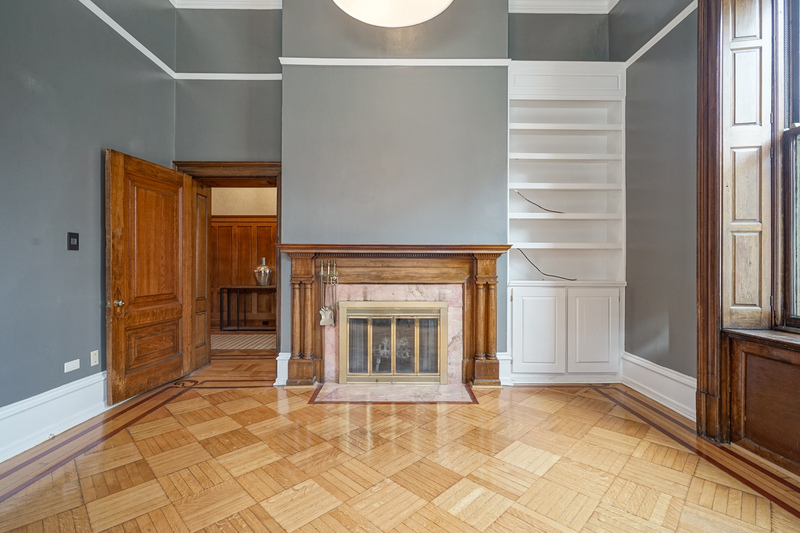 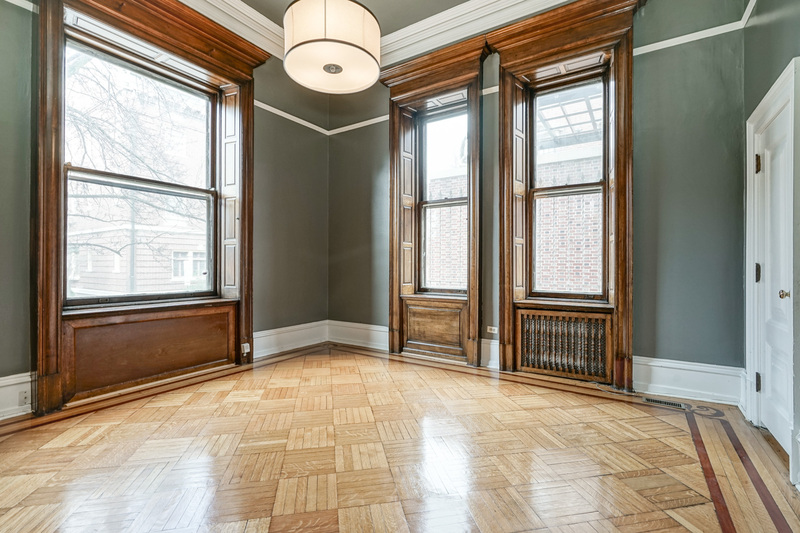 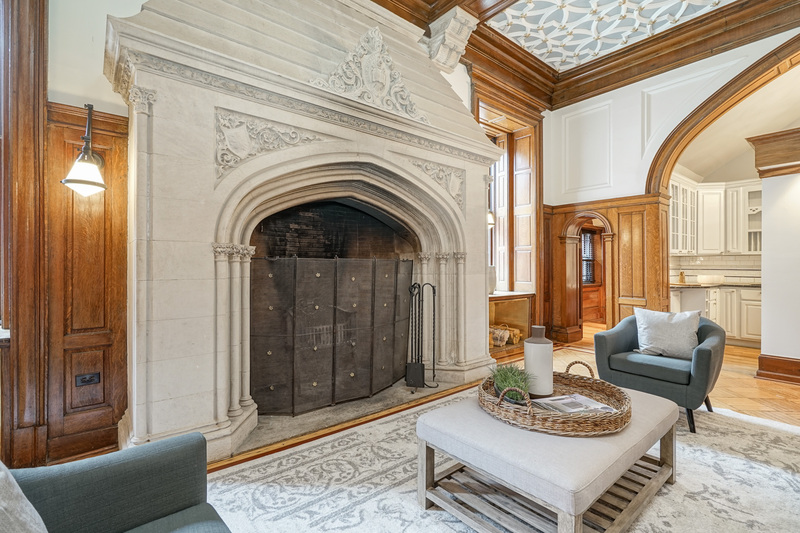 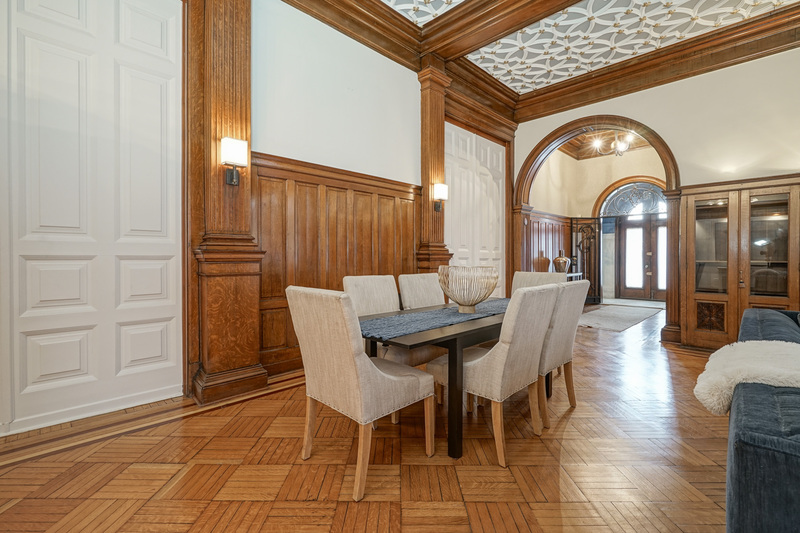 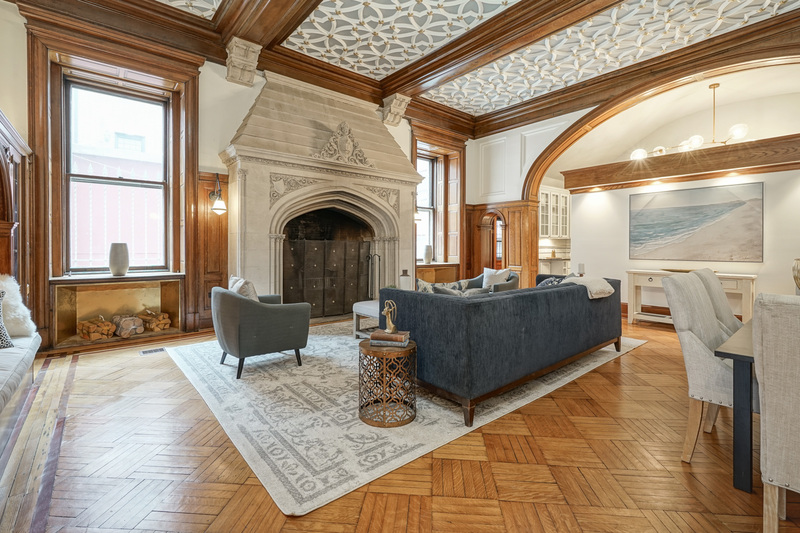 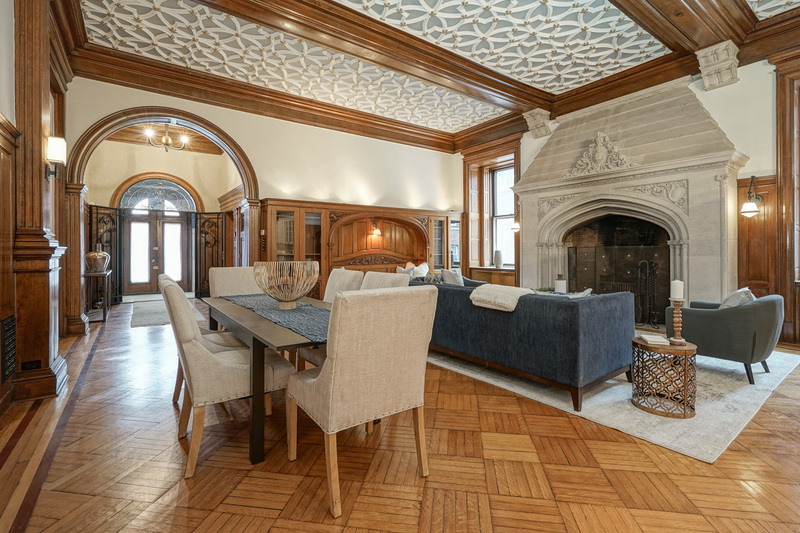 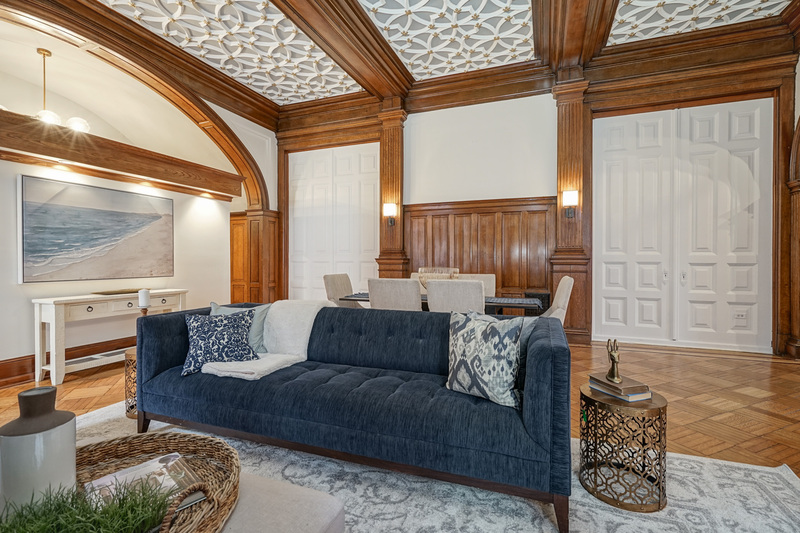 Ideal for entertaining, the visually stunning formal living area greets you with renovated parquet floors, soaring ceilings, large windows, intricate molding & woodwork as well as a fully functional and grandiose fireplace. 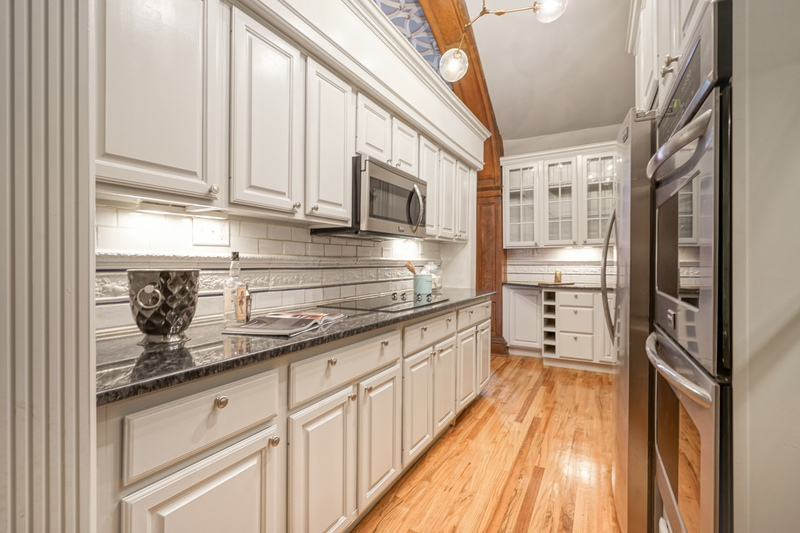 The recently renovated kitchen boasts new granite countertops and stainless steel appliances including double convection ovens and white shaker style cabinets with plenty of storage. 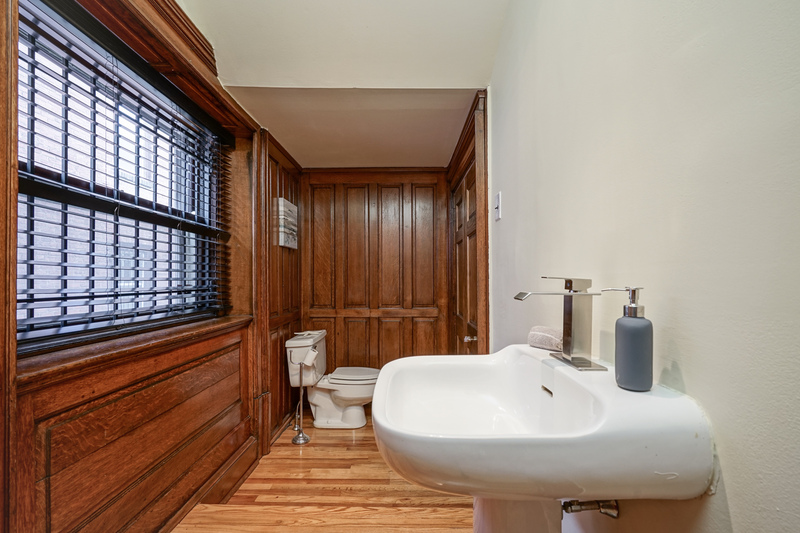 The parquet floors continue into the first floor bedroom which has its own en-suite bathroom and is complete with oversized windows which usher in an abundance of natural light. 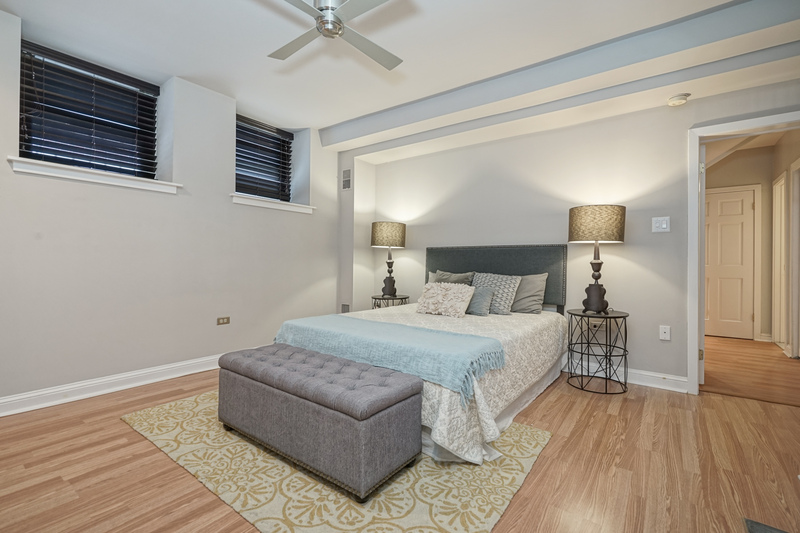 This bedroom would also be ideal as a den, library or home office. 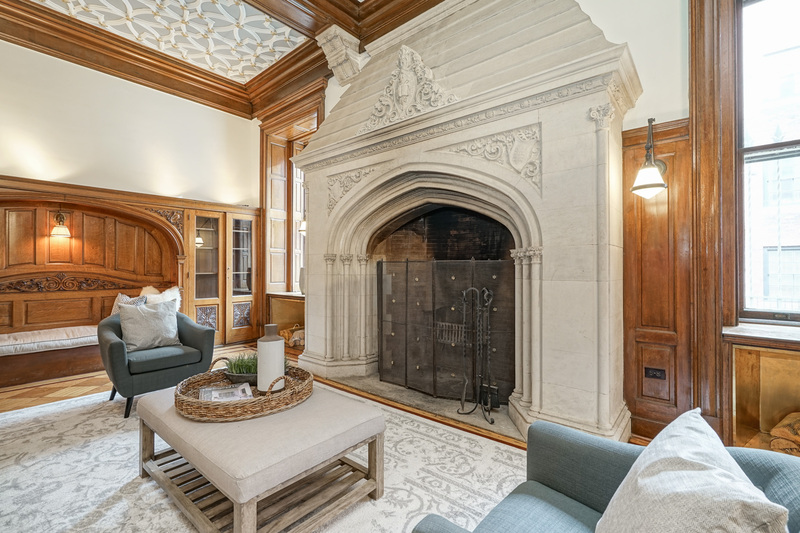 Built-in shelving, a fireplace and 15 foot ceilings highlight the impressive room. 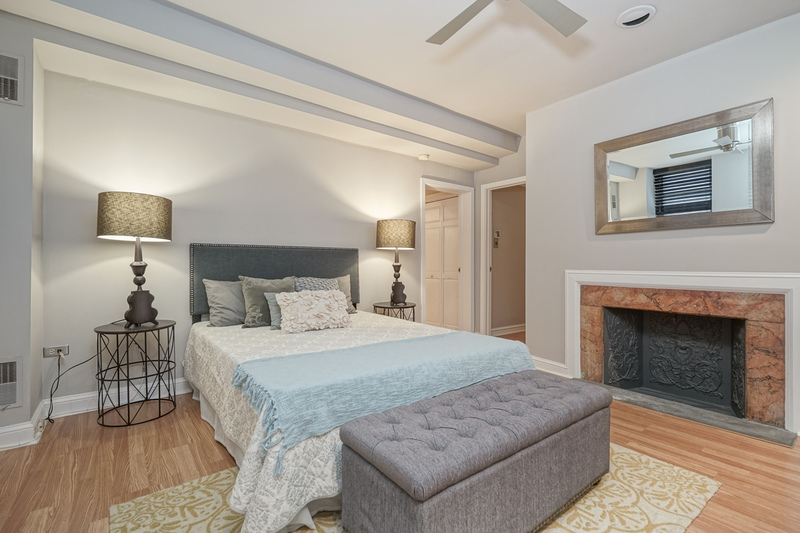 Take the grand, sweeping staircase to the master bedroom suite where you’ll enjoy a large walk-in closet, decorative fireplace and en suite bathroom with a new double vanity. 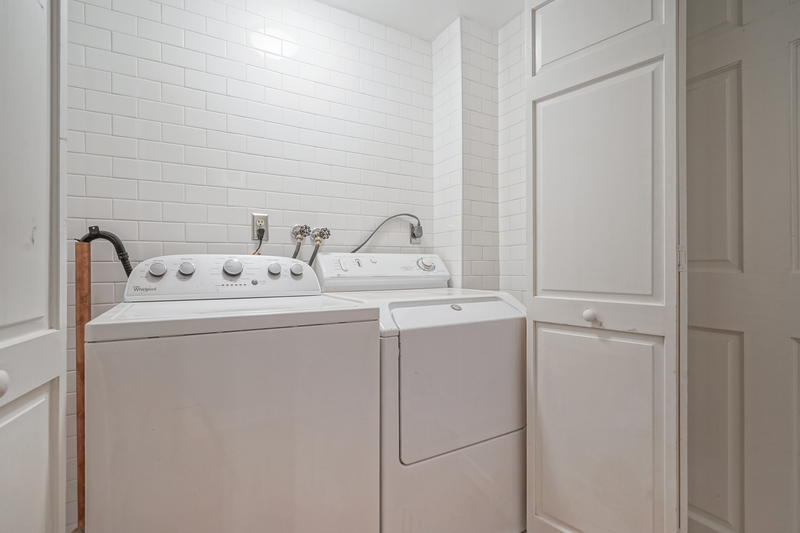 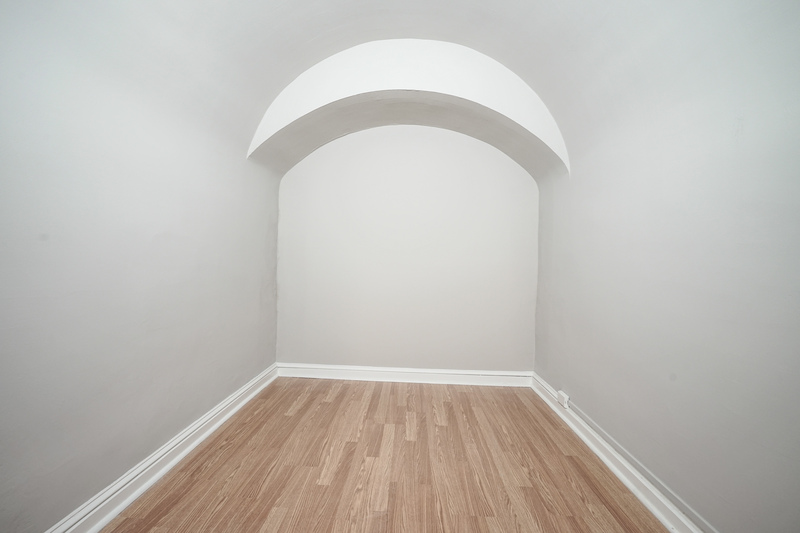 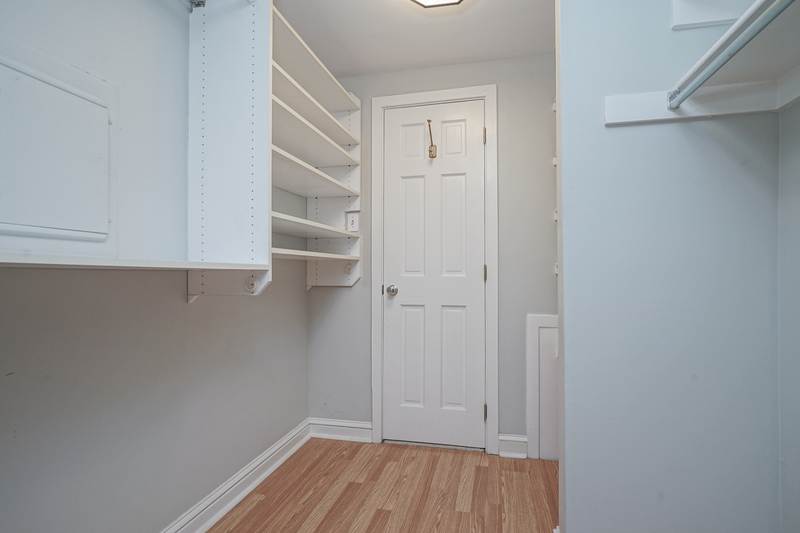 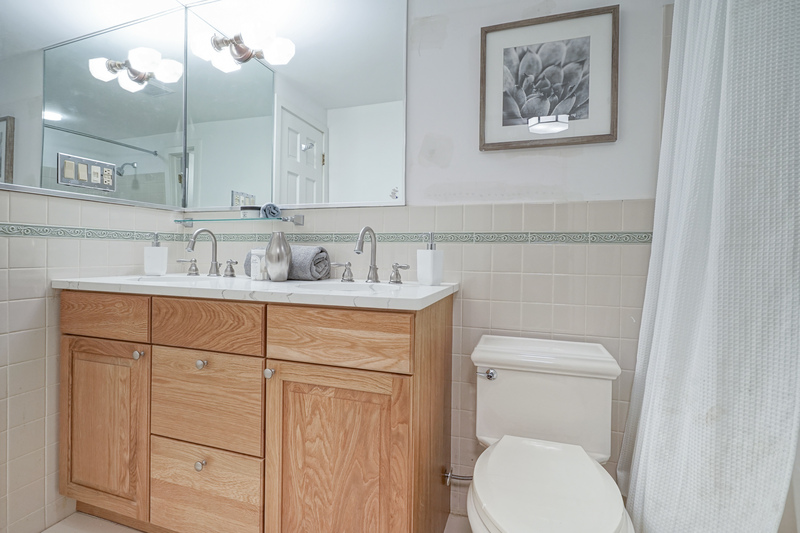 Conveniently, there is also a laundry area and additional rooms that could be utilized for a home office, storage or more walk-in closet space. 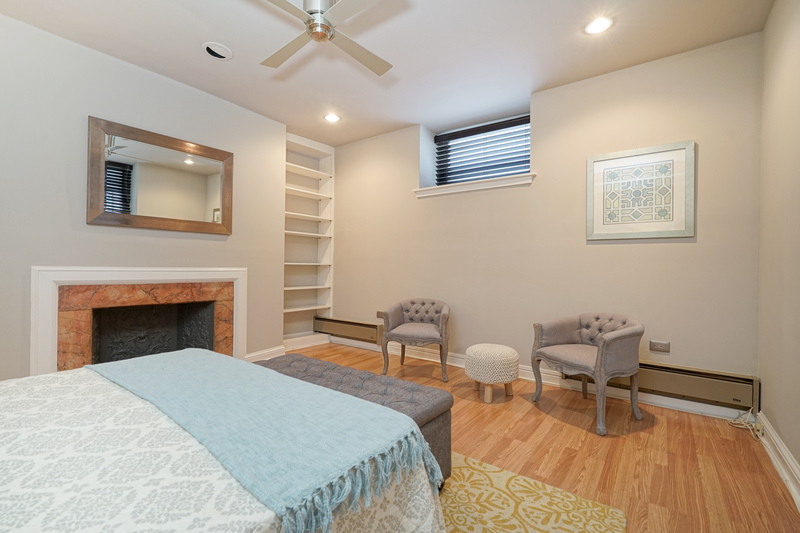 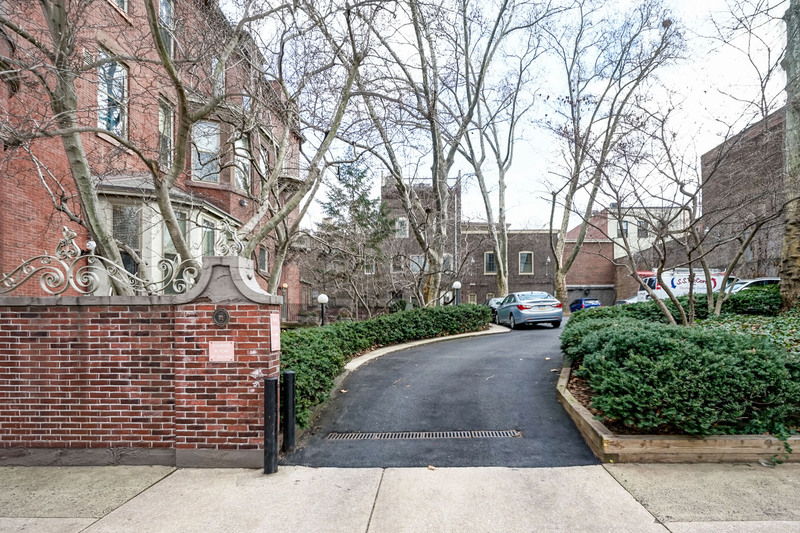 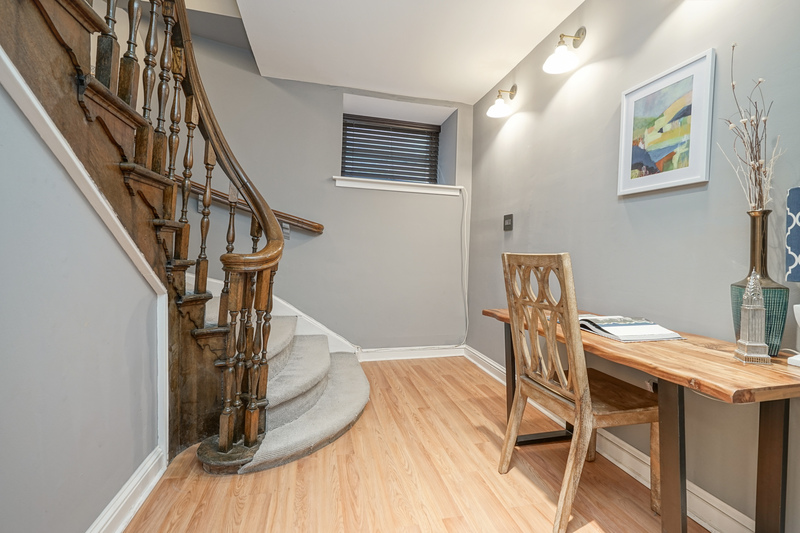 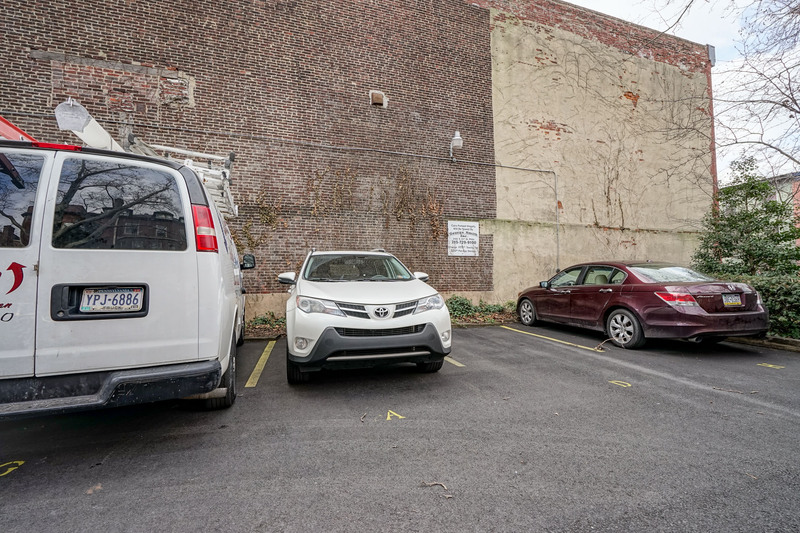 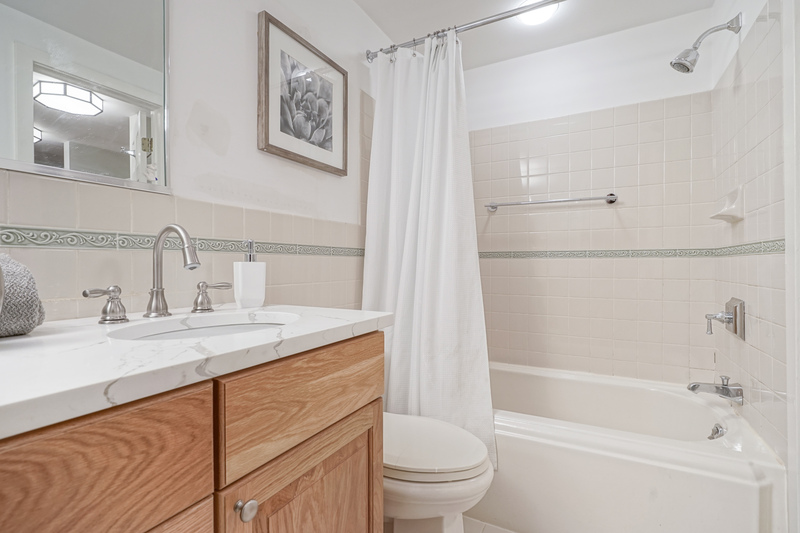 This pet friendly home is perfectly nestled between both Rittenhouse Square, Fitler Square and blocks from the Schuylkill River Trail and dog park. 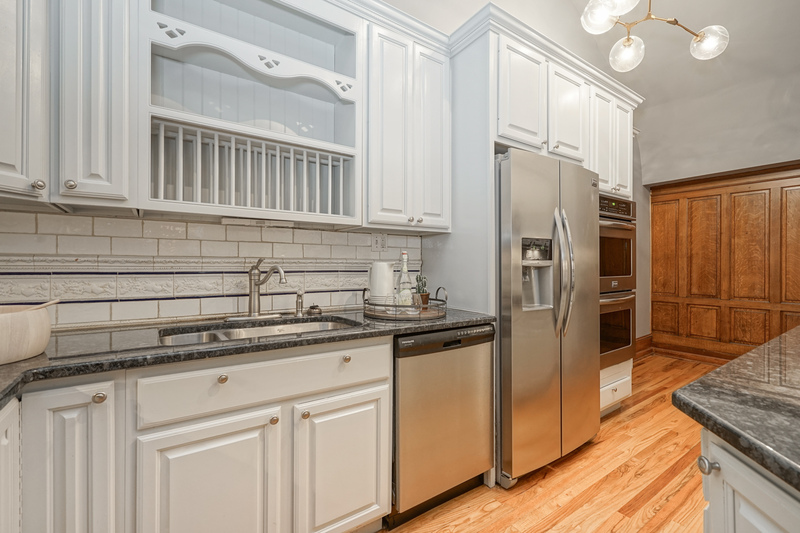 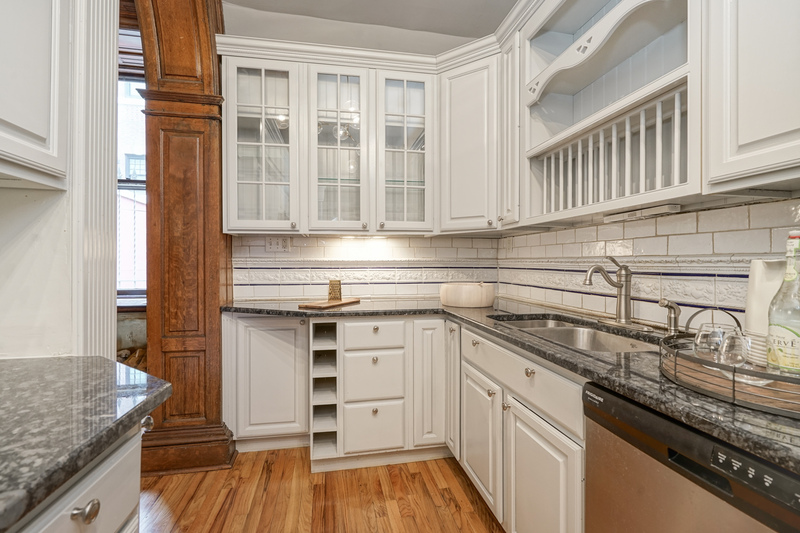 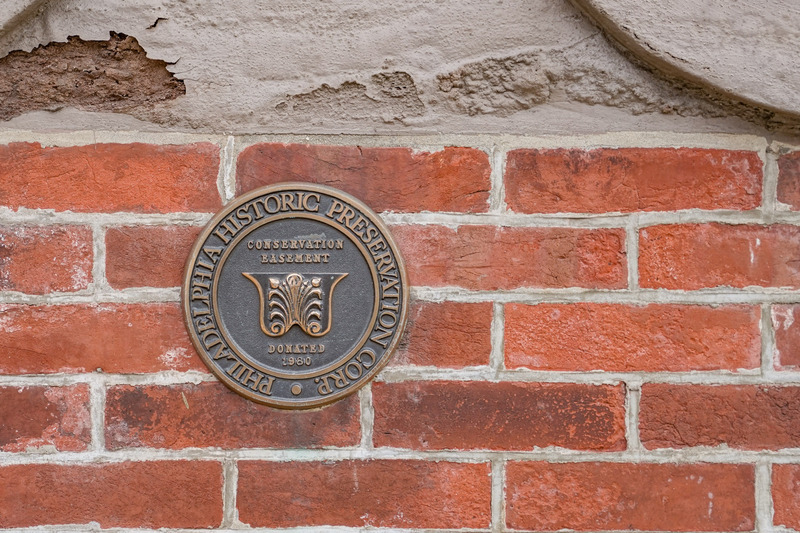 Walking distance to hundreds of Philadelphia’s top restaurants, shops and cultural icons in addition to quick access to 676 and 30th street station, this home’s location offers premier access to all the best that Philadelphia offers.